A bright white natural crushed marble in a 3-8mm size with a hint of pearl sheen. Use for decorative concrete, interior landscaping projects and plant topping. Coverage: When loose laid a single pack will cover approximately 0.6Sqm at 15mm depth. A full 66 pack pallet (Nominal 1 tonne) will cover approximately 40Sqm at 15mm depth. 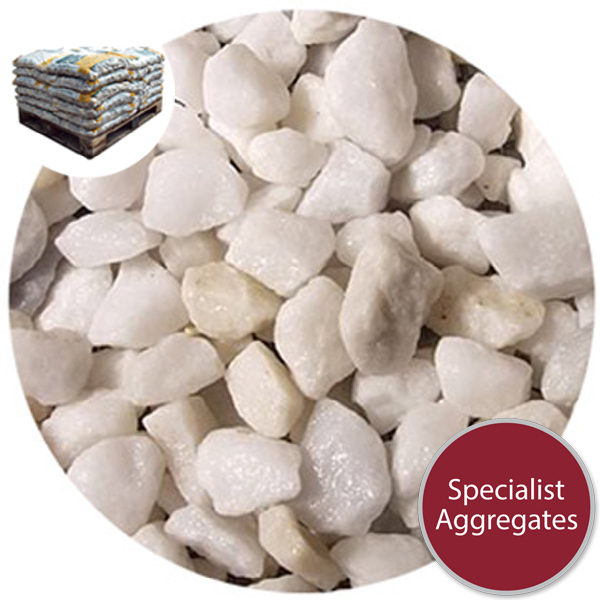 Concrete Batching: The product is ideal for exposed decorative concrete mixes as a direct replacement for builders gravel. When used for exposed polished flooring and worktops the quantity of marble required will depend on the desired aesthetics and mix design. A light white natural crushed marble. 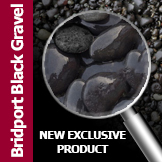 Suitable for interior and exterior projects including exposed cast stone, architectural and terrazzo finishes. The product is particularly effective when used for Japanese style gardens. 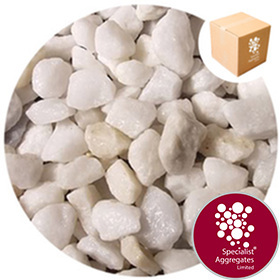 Bianco Pearl Marble is a natural product supplied in a moist condition, slight shade variations may occur. Product is responsibly sourced from licensed and regulated marble quarries. Where can I buy white cement ? 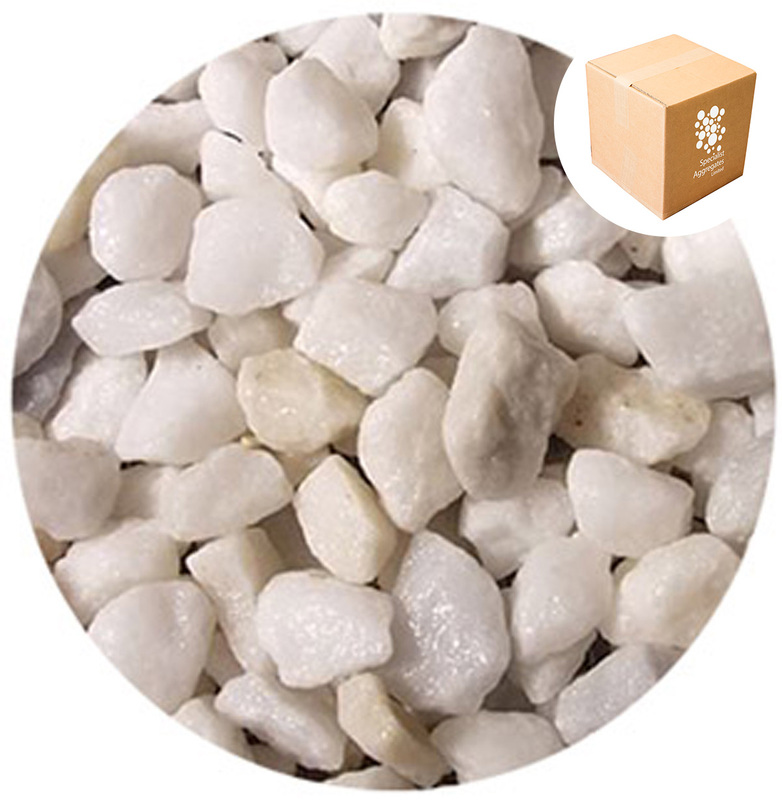 Many builders merchants and DIY Sheds stock white cement under the brand name of Snowcem. 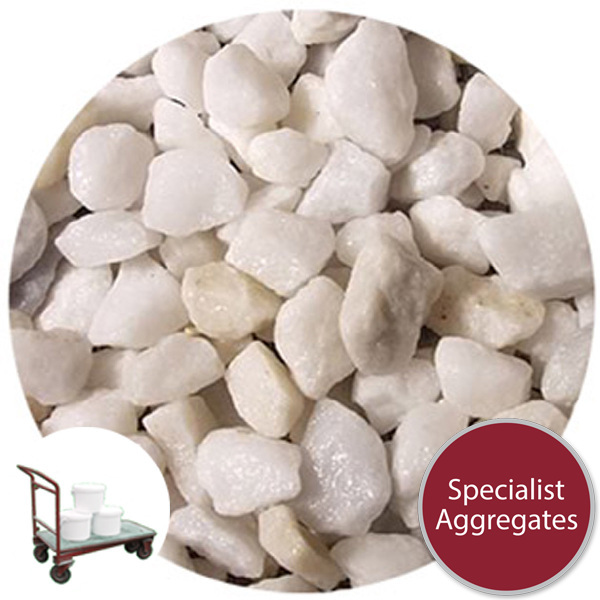 Architect Specify: 3-8mm Bianco Pearl Marble Chippings from Specialist Aggregates.